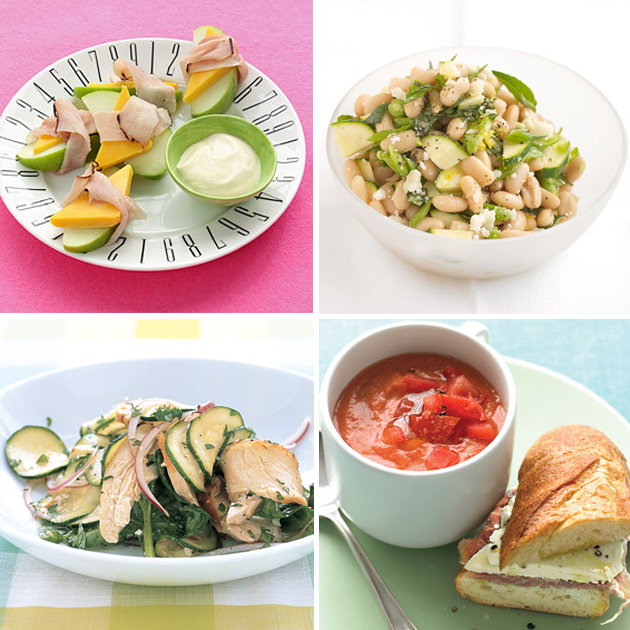 Happy Fridays: Delicious No Cook Recipes! 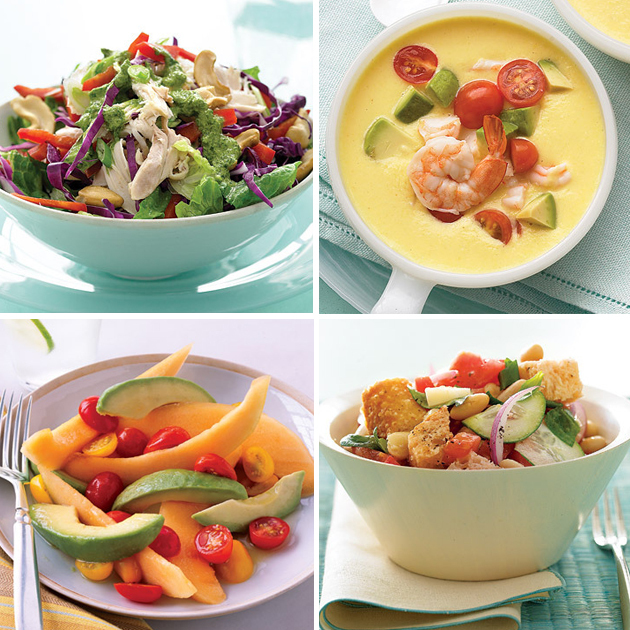 27 Aug Happy Fridays: Delicious No Cook Recipes! Salads and snacks can sometimes make up the majority of s festive spread, so you want yours to stand out! 1) In a large bowl, whisk together 1/4 cup oil and lemon juice; season with salt and pepper. Add zucchini; toss to coat, and let marinate while cooking chicken. 2) In a large nonstick skillet, heat remaining tablespoon oil over medium. Season chicken with salt and pepper. Cook chicken until golden brown and opaque throughout, about 7 minutes per side. 3) Toss chicken with zucchini mixture, spinach, onion, pecans, Parmesan, and mint. Serve. Quick, simple, easy and delicious! I have to admit this next recipe certainly caught my eye, and my appetitie! 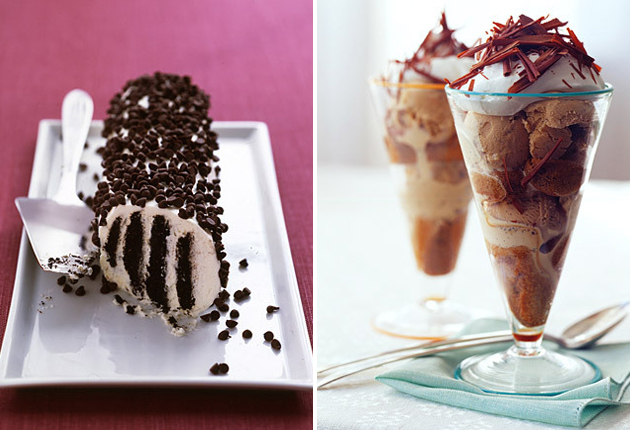 Tiramisu Sundaes make an excellent summer treat. 1) Whisk cream in a medium bowl until stiff peaks form; cover with plastic wrap, and place in refrigerator until ready to serve. 2) Combine espresso and brandy, if using, in a medium bowl. Break 4 ladyfingers in half; dip into espresso mixture until soaked but not falling apart, several seconds. Arrange two halves in a layer at the bottom of each parfait glass. Top with a scoop of ice cream. Repeat with another layer of soaked ladyfingers, and top with a scoop of ice cream. Garnish each glass with a dollop of whipped cream and a sprinkling of chocolate shavings, if desired. Serve immediately. I hope this helped give you some yummy ideas for your next social get together or even a cozy evening in after a long week. As always I want to thank Martha Stewart for having so many great ideas on her site. Stay tuned for for next weeks Happy Friday post! Countdown to Reynolds Plantation: 4 Weeks! Host Your Best Bash: Labor Day Party Ideas!